Photography is popularly taken to have been invented in 1839, when the commercially-produced “daguerreotype” became publicly available ; earlier prototypes had been developed in the 1820s by Niepce, to whom some credit for the invention may properly belong . Other processes for the reproduction of images, without the crucial element of chemical fixing, had of course long been available through the use of the simple “camera obscura”, and by the more complex “camera lucida” patented in 1807. Over the years, a number of theories have been suggested to explain why photography was invented when it was – the increasing need for, and interest in, scientific precision ; the demands of industrialisation; a perceived increase in the bourgeois demand for portrait images; the emergence of a “desire to photograph” ; or the natural development of a “new norm of pictorial coherence”. In their monumental History of Photography, the Gernsheims noted one seemingly puzzling aspect of the invention. As a result of Johann Schulze’s discovery way back in the 1720s that silver nitrate would darken when exposed to light, the Gernsheims concluded that knowledge of the chemical and optical principles of photography had been fairly well widespread for more than 100 years before photography eventually emerged. In their view, therefore, “the circumstance that photography was not invented earlier remains the greatest mystery in its history”. It is suggested, however, that this claim may be contested on factual, technical and psychological grounds. Factually, the Gernsheim’s suggestion that the results of Schulze’s experiments were “fairly well widespread” following the 1720s may be questioned. It needs to be appreciated that the transmission of scientific knowledge about chemistry in the early eighteenth century – almost 300 years ago – did not necessarily follow the orderly path that we may be familiar with today. Lavoisier, regarded as the founder of modern chemistry, had not even been born at this stage, and even on his execution in 1794 the presiding judge was still expressing a common view when he is reputedly said, “The Republic has no need of scientists”. It is therefore a mistake to assume that Schulze’s results were promptly published, translated and passed seamlessly into the scientific domain for others to assimilate and build upon. In reality, the results seem to have been transmitted almost serendipitously. Although Schulze reported his results to the Imperial Academy in Nuremberg, this went almost unnoticed (the English translation of the report evidently did not appear until 1898) . His main work was not published until 1745, after his death, and even then did not attribute any practical application to the discovery, which was actually incidental to his main findings. Eder concludes that Schulze’s work was almost entirely forgotten, or not very highly esteemed in his time, due to the difficulty of access to the record of his work . Furthermore, those who actually were familiar with it were more likely to have come across it in popular books of amusing parlour tricks , rather than in scientific journals. Its subsequent transmission was similarly a matter of chance – it was eventually picked up by Dr William Lewis in 1763 and, when he died, his private notebooks were bought by Josiah Wedgwood, who in turn passed them down to his son Thomas who carried out serious photographic experiments in 1802 . When seen in this context, any perceived delays in the development of Schulze’s results do not seem altogether surprising . In this connection, it is interesting that in Tiphaigne de la Roche’s 1760 futuristic novel Giphantie, photographic-like fixing was seen as possible, but it was still seen as an invention for the future . The sense is not “why hasn’t this been invented yet”, but rather, “wouldn’t it be wonderful if it could be invented”. In other words, the fact that something is theoretically possible does not mean that the failure to actually achieve it is necessarily a mystery. Technically, too, the Gernsheims’ implication that little else needed to be known in order to make the invention is open to doubt. For example, Snyder has argued  that the invention could not have been made in any event until a way was found to isolate the production of previously-unknown elements and compounds (such as iodine and bromine). In addition, it depended on the discovery of new chemical reactions  and Herschel’s 1819 discovery that silver salts are dissolved by what is now known as photographic fixer. Snyder also suggested that the first barely practical processes (dating from the early to mid 1830s) came about in a specific context of commercial manufacture and experimentation, and maintains that it is impossible to account for the new processes without addressing other complex issues of manufacture and consumption, the habits of scientists and amateur experimenters, and a variety of issues not considered by the Gernsheims. Finally, the Gernsheims’ conclusion may be questionable on psychological grounds. Many ground-breaking inventions, not just photography, have been retrospectively branded as “obvious”. For example, Alexander Graham Bell’s 1874 invention of the telephone depended on no scientific discovery or natural phenomenon that had not been well-known for nearly half a century. Why, then, had no-one ever thought of it before? Many an expert on electricity asked that very question, but only after they heard of the invention. Thus, it was only after the invention had been made that it was perceived as obvious . 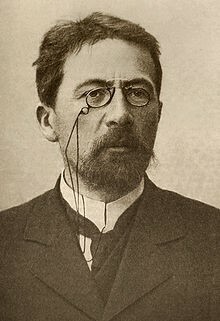 Similarly, although pince-nez eyeglasses (spectacles) were invented around 1300, it evidently took a number of centuries for someone to have the seemingly-obvious idea of attaching earpieces which hooked over the ears . In the interim, people had evidently experimented with handles, caps with hooks attached, and even clamps attached to the wearer’s temples, without hitting on the solution. Clearly, what we today would regard as a patently obvious solution was not considered obvious at the time. The lesson appears to be that many technical inventions may be infinitely more difficult to achieve than some cultural commentators, technical rivals and others might retrospectively imagine or like to believe. The explanation of this phenomenon may lie simply in hindsight bias. This is the inability of most people to prevent knowledge gained through hindsight from affecting their analysis of past events. In particular, this type of bias causes individuals, whether lay or expert, to routinely overestimate the ex ante predictability of events after they have occurred. Its effect on human judgment has been convincingly demonstrated by a considerable body of experimental evidence . One study which is precisely in point – concerning people's perception of the the likelihood of an invention being made to solve a particular problem – found that about 70% of people who had been told that a solution had actually been found considered that this solution would have been obvious. In contrast, only 20% of people who had not been told that a solution had been felt that the solution would be obvious. Strikingly, this discrepancy persisted even with people that were specifically warned to guard against the danger of hindsight bias affecting their judgment . How does this bias arise? It has been suggested that the most significant factor is cognitive – once an individual learns of an outcome, this changes the individual’s understanding of the world in ways that make the outcome appear more inevitable. The individual automatically projects this new knowledge onto the past and has difficulty in recognising that it is influencing his or her judgment. Individuals automatically integrate an outcome and the events that preceded it into a coherent story, which tends to make the antecedents appear more influential and consequential than they are in foresight. Correspondingly, antecedents that would have indicated alternative outcomes are disregarded as having been inconsequential. Motivational factors likely also play a role. Individuals tend to want to see the world as stable and predictable, and they want to be viewed by others as intelligent and perceptive. Stating or believing that an outcome was predictable satisfies both of these desires . Studies such as these suggest that there are plausible grounds for considering that hindsight judgments as to the “obviousness” of a solution may be unreliable. In this context, it is interesting that in 1962 the futurist Arthur C Clarke considered that photography, far from being an obvious invention, was one of the sixteen most unexpected inventions, along with X-rays, nuclear energy, radio, lasers, and carbon dating . So, where does that leave us? Certainly, the task of identifying the factors that led to the invention of photography is still a worthwhile and interesting exercise. But as to whether it amounts to solving the “greatest mystery” – well, perhaps not. 1. The daguerreotype, named after its inventor Louis Daguerre, was quickly followed (but not superseded) by Fox Talbot’s “calotype”, which was printed on paper (instead of a silvered copper surface), had less precise definition and was less durable, but could produce a “warmer” effect and – importantly – could be reproduced. 2. Niepce died in poverty in 1833. His prototype “heliograph” View from the Window at Le Gras (ca 1826) disappeared in 1900 and was only rediscovered in 1951 (Koetzle, H-M, Photo Icons: The Story Behind the Pictures 1827-1926, Taschen, Cologne, 2002). 3. Hyatt Mayor, A, "The Photographic Eye", Metropolitan Museum of Art Bulletin, Vol 5, No 1 (1946) 15-26, at 20. 5. Galassi, P, “Before Photography: Painting and the Invention of Photography”, Exh Cat, Museum of Modern Art, New York, 1981. 8. Eder, J M, (transl Epstean, E), History of Photography, Dover Publications, New York, 1978 reprint at 62. 9. Gernsheim, op cit at 34. 11.This stop-start development timeline was mirrored in many other contexts. For example, the Bell Curve was first “discovered” by De Moivre in 1733, first published in 1738, picked up by Gauss decades later, rediscovered by Laplace in 1810 and finally accepted as having general application in the 1830s. 12.In this novel, a traveller in the African desert is transported by a whirlwind to a land whose inhabitants are able to fix the images made by light rays. He describes how using “a most subtle matter, very viscous and proper to harden and dry”, coated on canvas, these images are impressed in “the twinkle of an eye”, after which the canvas is dried in a dark place for an hour. Once dry, the pictures “cannot be imitated by art or damaged by time” (Newton, G, Shades of Light: Photography and Australia 1839-1988, Australian National Gallery, Canberra, 1988, Introduction). 14. These included Talbot’s discovery in 1834/5 of differential light sensitivity in different forms of the same silver compound (Snyder, op cit). 15. Bruce, R V, “Alexander Graham Bell”, National Geographic Vol 174 No 3 Sep 1988 358, at 372. 16. Frugoni, C, Inventions of the Middle Ages, Folio Society, London, 2007, at 23-25. 17. Mandel, G N, “Patently Non-Obvious: Empirical Demonstration that the Hindsight Bias Renders Patent Decisions Irrational” Ohio State Law Journal, Vol. 67, p. 1391, 2006; 1st Annual Conference on Empirical Legal Studies Paper. This phenomenon has also been described as "creeping determinism" : Fischhoff, B, "An Early History of Hindsight Research", Social Cognition, Vol 25, No 1, 2007 at p 10; Fischhoff, B, "Hindsight ≠ Foresight: The Effect of Outcome Knowledge on Judgment Under Uncertainty", Jnl of Experimental Psychology, 1973, Vo1, No 3 at 288; Gladwell, M, "Connecting the Dots", in What the Dog Saw, and Other Adventures, Allen Lane, 2009 at 249. 10 Clarke, A C, Profiles of the Future, Pan Books, London, 1982 at 20. It is interesting that many of these inventions span more than one traditional discipline, similarly to photography, which lies at the junction of art and science.